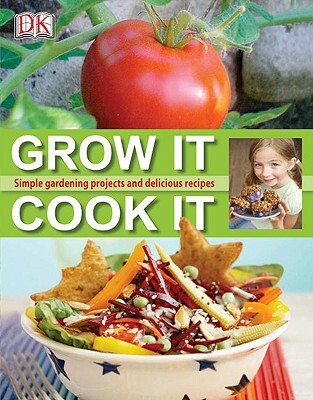 "Grow It, Cook It" is the children's cookbook that starts with the seed of a good idea. More than a cookbook, this innovative book offers a fresh approach to healthy eating by getting children involved in food right from the start. Children will learn that when they eat a carrot, they're biting into a root; salads are made up of leaves; and berries are the fruit and seeds of plants, encouraging an early appreciation of food and its origins. The recipes in the book take the homegrown fruits, vegetables, and herbs and use a variety of cooking methods and store-bought ingredients to transform them into truly homemade meals. All the "crops" can be grown in pots, so young chefs don't even need a large garden to enjoy "Grow It, Cook It.